If you are looking for ways to make your aquarium more interesting, do you know that you can add floating plants to your tank? They are an added fun element and they also can serve a purpose in your habitat. 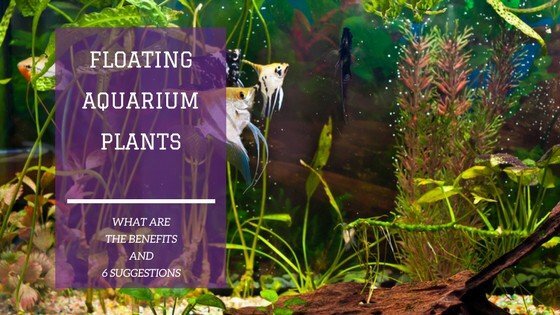 Let’s look closer to the benefits floating plants can provide to your aquarium and to some suggested ones. Floating plants can be added to almost any set up aquarium of any size, but fair better in the larger tanks. As the name suggests, live floating aquarium plants float at the surface of the water in your aquarium. Floating fish tank plants vary greatly in size and shape and some have interesting roots that hang into the water, while others are more compact and discreet. All are rather easy to set up and are especially easy to maintain. They are known to grow rapidly in any kind of environment. Floating plants are a pretty low maintenance addition to your aquarium and your fish will most probably love you for adding them to their home. Adding floating aquatic plants to your tank will provide shade for your fish as well as for your other plants settled in at the bottom of the tank in the substrate. The fish will definitely appreciate a little shade during the day from the bright aquarium lights. The bottom plants also need to be somewhat shaded, but care is needed as to not add too many floating aquarium plants because your bottom plants may suffer from lack of light. Moderation is key when adding floating plants. 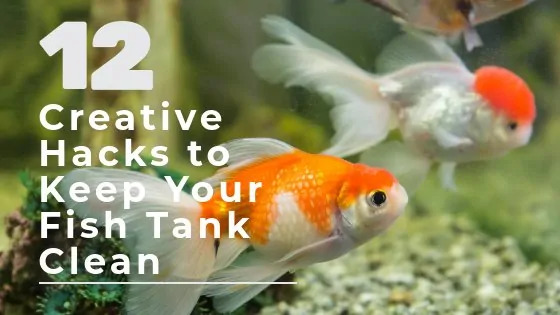 One option is to tie them to secure them to one spot at the top of your tank. Floating aquatic plants provide a biological and chemical filtration process very similar to what your filter does. 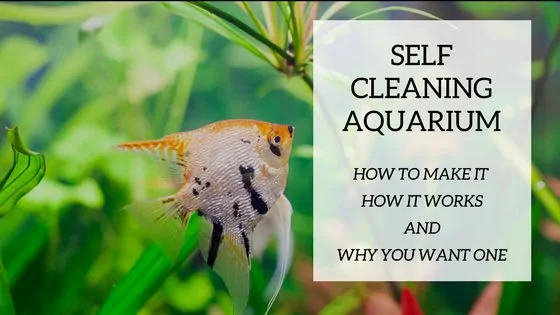 The plants absorb waste from your fish and other detritus from the water and then creates good bacteria that helps keep your water clean and clear. Of course, the floating plants cannot be used as a sole filtration process, but will definitely help your filter media last longer. Some waste and detritus that would usually end up passing through your filter will be absorbed by the floating plants and lessen the work load for your 3 stage filter system. Fish always enjoy a place to play and hang out. They may also sometimes need a place to hide to feel protected, especially the smaller fish and fry. No matter the reason, you will notice that your fish will appreciate the presence of the floating plant and will keep going back to it. The floating plants with root systems are best for this purpose. Some of these floating aquarium plants can be used to feed certain of your herbivorous inhabitants or inverts. Some research is needed when purchasing your plants to make sure that they are compatible with the type of fish that you have in your tank. You may actually want to provide some extra food or you may want to keep your plants as decorative purposes only. Careful choice needs to be made in order to satisfy your personal aquarist needs. Floating aquarium plants are a great way to add oxygen to your tank. The plants act as an aeration system as normal vegetation does in nature outside of aquariums. This provides extra 02 to your water that will benefit your fish in the long run. A well aerated and high level of 02 tank helps keep toxins under control. These floating plants are very interesting and will add some great design features to your aquarium. Adding these plants creates a very nature-like feeling and look to your tank. The selection of plants that have the hanging roots will most always give your tank a more natural feeling environment. There are many different types and you have to choose them according to the look and feel of your habitat. You will want to choose the plants that blend into your aquarium without overpowering other elements in your tank. The fish that are in your aquarium will determine the types of plants that you can add to your tank. If you have fray or plan to reproduce your fish, then having floating plants with roots will be a wise decision because it will provide shelter for the small fish. The size and number of gallons that your aquarium has will tell you what types you may add to your tank. You will want to choose the smaller varieties if you have a tank under 40 gallons. The bigger volume tanks can accommodate more plants and the bigger and faster growing varieties of floating plants. You probably already have the look of your aquarium settled or at least planned out. You will want to find the plants that fit well with the rest of your environment. It’s best to choose plants that will settle well at the top of your aquarium and not be an eye sore. You want a harmonious feel in your tank. Of course things may not turn out exactly like you planned because these are living things that grow as they wish, but you can minimize the “bad taste” look by doing your research and choosing wisely. Some of the floating plants have roots that hang down into your tank and most people would say that it’s a pretty cool look to have in your tank. It creates a natural looking environment like in the wild. This look is obviously not for everyone, so there are options of floating plants that don’t have the hanging roots. 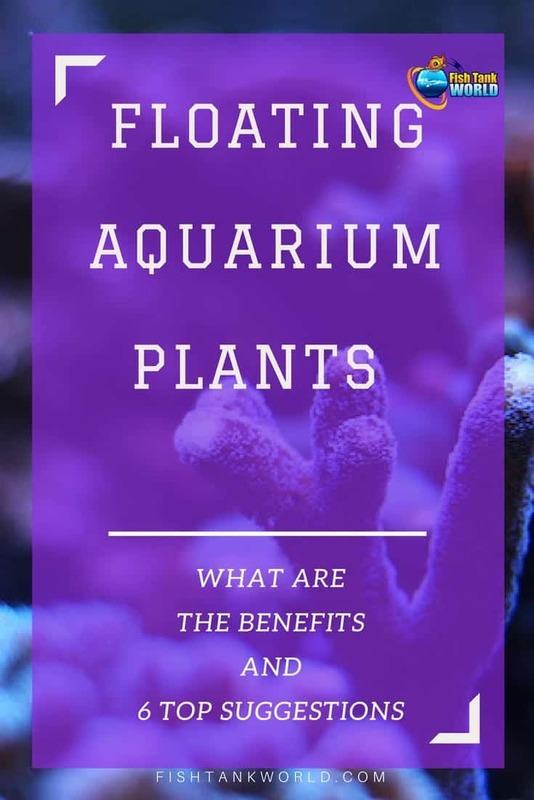 When deciding to add floating plants in your aquarium it is important to make sure that you have enough light in your tank to provide for the new plants but also to make sure that the bottom plants won’t get left in the dark. When shopping for your floating plants you need to take into consideration the size of your aquarium. Make sure that you don’t purchase super fast growing plants that overtake your small tank. This is by far the most attractive and popular floating plant in the aquarist’s world. The Water Lettuce grows long roots that are very remarkable. It grows very quickly large rosettes and can fill the surface in no time. It is probably recommended not to put this plant in the smaller aquariums because it it’s size. Because of its fast growing character, it can easily provide too much shade for your bottom plants. It is very easy to maintain, but care is needed in order to not let it grow too large. Simply take out the excess or the discolouring parts regularly. Normal Duckweed is perfect for the smaller aquariums. It has small attractive leaves with short roots, making it a wise choice for the under 100 gallon tanks. It will never block out too much light unless of course it is not maintained. This being said, care has to be taken when installing this plant in your aquarium because it grows extremely quickly. Having a lid on your aquarium will help keep the plant inside the tank. It has been known to grow outside of the tank. The Amazon Frogbit is an excellent choice for the tanks that have the Amazonian look to them. It has large rosettes and also large leaves. It holds long roots that branch out. It is very popular in the aquarist world because it is very easy to use and it is dependable. It tends however to block out light, so this needs to be taken into consideration when adding this plant into your tank. It is easy to maintain, but has a tendency to get its roots caught up in the filter. A good way to remedy this is to tie it with wire and keep it to a specific area in your aquarium. Also commonly called Mosquito Fern, this plant belongs in the fern family and will free float at the surface of your tank beautifully. It has a quilted look which conceals the single root that comes out of each stem. They come in different colors, form green to red hues. Like other floating plants, the Azolla will provide shade and shelter to your small fish, but it needs to be trimmed and cared for so that it doesn’t take over the surface of your tank. The Normal or Common Salvinia is a small plant that grows in clusters and floats at the surface of the water. It grows best in quiet water that is not agitated by waves. It is not recommended to add to your tank if you have a hang on back power filter. It can easily and quickly cover the top of your tank in no time. Regular care is needed so that it doesn’t over grow and shield out too much light for the bottom plants. It is of the fern family and does not grow flowers. This plant is from the carnivorous family, but is safe for your fish community and inverts. It floats in clusters at the surface of the water and will grow bright yellow flowers. The plant will consume microorganisms in the water, but is harmless to fish and inverts. The bottom submerged part of the Floating Bladderwort contains a system of traps that resemble bladders. Organisms are attracted to the traps where they are consumed and digested. As with every other enhancement to your aquarium, research and preparation needs to be done before adding any type of living organism. 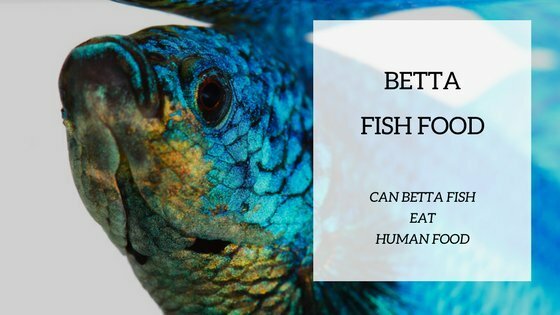 Your fish and invert community need to stay happy, healthy and harmonious. Adding floating plants will definitely give your tank a very natural and wild look. This is a very easy and low maintenance way to have your aquarium look more pro in no time. When researching which plants to add to your habitat, the size of your tank will be the most determining factor. These floating plants tend to grow very big, very fast. They are not recommended for the smaller aquariums as they will smother light out for the bottom plants. When placed in the larger tanks, they can be stabilized and secured to a specific area of the surface water to provide some shade and also offer protection for the fish. Securing them lets light reach the bottom to nurture the plants that are in the substrate. Our best pick from the floating plants category has to be the Water Lettuce. It is very popular with aquarists for good reasons. It grows attractive large rosettes that are great to look at and it also provides a root system for fish to find shelter in. It will need regular trimming to make sure that it doesn’t over power the surface, but it is extremely easy to maintain apart from that. Your fish will love the roots to play and hide in. Let us know in the comments if you have tried any other floating plant and what you your experience is.